“Only in chaos are we conceivable.” Roberto Bolaño’s posthumous novel 2666 attempts to explore the totality of evil in the 20th century. Ranging from World War II to Detroit to the deserts of Mexico, the nearly 1000-page book presents a huge cast of characters, each individual offering their pain and hope as exemplifications of the current human condition. The novel spirals around two points: hundreds of murdered young women in the Sonora Desert, and the elusive author Benno von Archimboldi. As the plot dilates, the text examines issues hugely relevant to our current socio-political conversations. Is journalism as we know it doomed? How do countries born of war and genocide heal? How do communities successfully resist oppression? 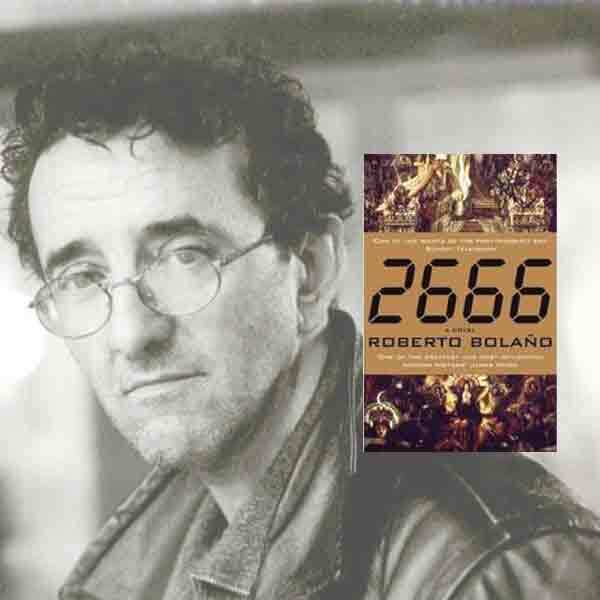 This novel has been celebrated in many languages, heralded as the beginning of 21st century literature, and assured Roberto Bolaño’s reputation as one the most impactful authors of our time. Before the first meeting, please read the first two parts of 2666. These are “1. The Part About The Critics” and “2. The Part About Amalfitano,” which should leave you at page 228 in the Picador/FSG paperback versions of the book. This initial heavy reading will keep each subsequent week well under 200 pages. Benjamin McPherson Ficklin was born in Portland, Oregon, and now spends most of his life travelling. Outside of his writing and photography, he works as a gongfu tea-master, lumberjack, commercial salmon fisherman, and ulu farmer. His work has been published in Lomography, Ursus Americanus Press, Clackamas Literary Review, Autre, Bang!, and all three anthologies by The Stonecutters Union. He serves as the event coordinator for several environmental and arts-promotional nonprofits.